Wearing the appropriate safety gloves has been proven by some studies to reduce the risk of sustaining hand injuries by as much as 60 percent. Continuing from An Overview of Work-Related Hand Injuries (Part 1)¸ the following provides some additional information regarding hand injuries that occur in the workplace. While Part 1 of this blog discussed some statistics related to on-the-job hand injuries, as well as some common types of hand injuries that workers can sustain, here in Part 2, we will focus on discussing some of the most common cause of hand injuries, as well as some ways to prevent them. Safety gloves appropriate for one task may not provide adequate safety or protection for another. Employers concerned about reducing the incidence of hand injuries (and workplace injuries, in general) should educate their employees regarding the best safety glove to use for a particular task. 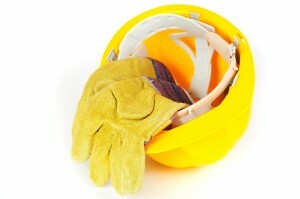 Employees need to be diligent about using safety gloves in order to protect themselves.